Big thanks to all the team for the amazing time spent in the salon! I came there with a decision to make a short haircut and as I had a long hair almost all of my life , it was a difficult and scary decision. Huge thanks to Rami Jabali for the professional analysis of my hair condition, face type and as a result amazing haircut that suited me so perfectly! I was afraid to have regrets about my big decision but after being in these highly professional hands I regret not doing that earlier! I am extremely happy that I have chosen to come in this place! Thanks all the team once again and hope to see you soon during my next visit to Dubai! Best wishes!!! Absolutely amazing! Rami fixed the most awful haircut from a previous hairdressers. Care and attention his experience shines through when he cuts and talks about styling. Definitely a new regular. My second time at Rami Jabali salon, and once again I’m super happy with the result. I highly recommend the place to anyone. Excellent french manicure with neck, arm and hand massage included! Beautiful eyelash extensions that keep its long-lasting promise. In short, very relaxing visit in a beautiful and modern salon. I would give more than 5 stars for Rami Jabali Salon & Spa if I could. I have very unique curly hair, and have had many disastrous hair cuts before coming here. I can always trust Rami to do an amazing job and give me great advice on how to best treat my hair at home. 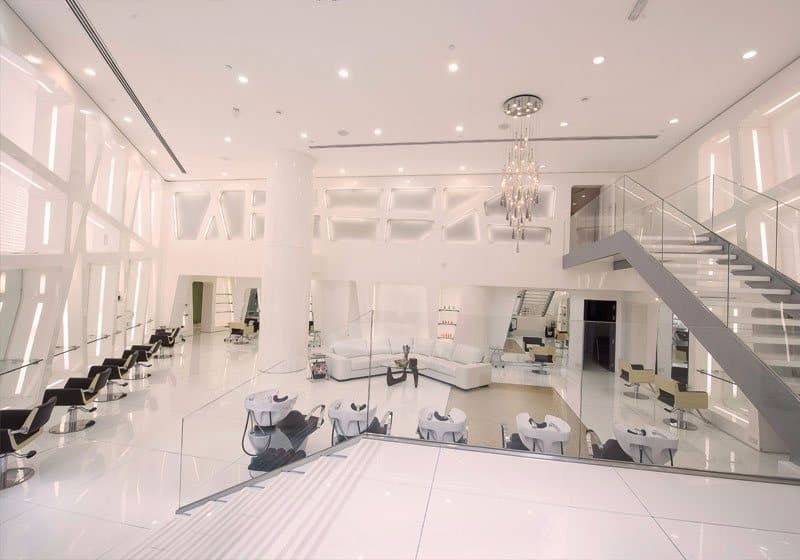 Hands down the best salon in Dubai! Loved the salon. They colored my hair so well. Rami himself is very invested and oversees everything. Clean and efficient service. Amazing service and friendly staff, it’s clear they are experienced and want the customer to feel happy and confident. Good customer service and high quality product/service are rare to find in the same place in Dubai but this salon has both! I came here after being heavily disappointed with my hair cut and color. Stupendous service provided by Mr Jabali. These guys know their business too well. It didn’t take him more than 2 minutes to figure out a solution for my destroyed hair. They’ve earned another loyal customer. The service is just beyond wonderful. The lady doesn’t just give a normal head wash, she also throws in a relaxing massage. Absolutely worth every penny spent! This place can only be described in one word-Perfection! Amazing hair salon and very professional. I got my hair colored and cut and the results were fabulous. I then decided to bring my daughter in for a haircut and Rami was very patient with her and did a fabulous job. I would definitely recommend this salon. Thanks for the wonderful service, love it. I’m always suspicious about hair salons because my light brown is hard to match naturally and a hair cut that controls my natural frizz is a challenge. Rami immediately understood “it” and I was more than happy about the result! Relaxed but professional atmosphere, nice team. Thats why Rami’s is one of the best hair salons in Dubai! Shukran!